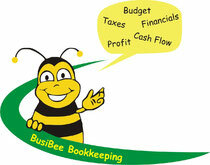 About Us - busibeebookkeepings Jimdo-Page! Simone began her career as an accountant with the Schatz College of Economics in Düsseldorf, Germany in 1996. Simone earned a Bachelor's degree in Business Administration with honors. She sharpened her skills as an accounting specialist over many years working in the automotive industry. In 2003 Simone moved from Germany to the beautiful San Francisco Bay area where she continued working in the accounting fields in small CPA offices, specializing in handling the needs of individuals with high incomes and small businesses in the dental industry. The experience from working with a CPA makes her capable of converting messy financial records into accurate, usable financial statements. In her spare time Simone enjoys alpine skiing at Lake Tahoe. She is also a member of the NRDC, the National Resources Defense Counsil, the nation's most effective environmental action group to protect Mother Nature. Simone believes that her knowledge and experience will achieve remarkable results for all of her clients. I am fully committed to build customer loyalty by providing first class service, with a personal touch to individuals as well as small and medium sized businesses. While we have extensive experience with dental and medical practices, we work for many industries and professions.